HYDERABAD, TELANGANA, INDIA, November 7, 2018 /EINPresswire.com/ -- Global ADME/TOX market is mainly driven by the efforts of pharmaceutical and biotech companies for reducing time and cost of drug discovery. ADME/Tox profiling of a drug candidate plays a key role in reducing clinical trials cost and time of drug launch to the market. ADME/Tox assays eliminate compounds with lack of bioavailability, lower efficacy and toxicity in early stages, in order to save time and costs in expensive later stages of drug discovery. RI Technologies (RIT) strives to provide market insight reports that empower customers with enlightening critical business information. The company’s Market Insight Reports will help you focus attention on your objectives. The strategic market information tables, graphically represented, will aid your research needs and help in forecasting, and gearing up to the future, armed with qualitative research. This will significantly reduce risks of new product development and give a global vision and perspective to your product. 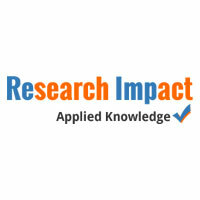 RI Technologies is a premier source of market research on the Biotechnology & Healthcare sector. The unique reports that are of immense value to investment banks, companies, management consultants, trade associations, corporate executives, business analysts, libraries, universities, and business schools. Emphasis is on factual insights and forecasts with maximum global coverage. RI Technologies is constantly monitoring the biotechnology & Healthcare industry, tracking market trends, and forecasting industry based on specialized analysis. The life sciences sector is an ever growing marketplace with emerging technologies in areas of discovery, design and development. RI Technologies believes in pure research that will trigger action for immediate customer needs rather than plain reporting of data. The reports provide strategic information tools to the manufacturers, retailers, distributors, and suppliers that will help them to probe into and support critical business decisions. RI Technologies believes in broadening the value of market research obtained through several dedicated streams of information. With RI Technologies’ Market Insight Reports you can - •	Identify Market Opportunities •	Review and Analyse Global and Regional Markets •	Gauge Market Potential for your Products •	Identify Competition •	Use Market Research for exploring new areas •	Acquire Meaningful Guidelines for Strategic Planning •	Gear up for Market Entry •	Get Actionable Information RI Technologies’ Market Insight Reports are designed and compiled to customer requirements. These reports will help in learning strategic information, checking out the competition, and gaining meaningful insights into the market. Preparedness for any market entry helps in winning and reduces chances of losing. Benchmarks can be created to measure growth and progress. You can gauge how well you are doing, raise your own standards, and lead your company to sustained growth.